According to the National Institute of Dental and Craniofacial Research, approximately 27 percent of seniors over the age of 65 have no teeth. Though this number has been steadily decreasing over recent years, many seniors still eat daily meals without the aid of teeth. Try these healthful foods that are soft enough for your senior loved one to eat but are full of flavor and nutrition. Your loved one may have a challenging time getting enough protein without teeth. Because meat can be difficult to eat without being ground up, many seniors with tooth loss are deficient in protein. Protein helps seniors maintain muscle mass, repairs tissue, and produces critical enzymes. One cup of cottage cheese offers 28 grams of protein. Try pairing it with some applesauce for a sweet and savory snack. Professional caregivers with experience in preparing various types of healthy meals can be a wonderful resource for seniors with no teeth. If your elderly loved one needs help maintaining a high quality of life while aging in place, reach out to Home Care Assistance, a trusted provider of Oshkosh senior care. Our caregivers provide transportation to and from medical appointments and social events, nutritious meal preparation, assistance with daily exercise, and help with everyday tasks like bathing, grooming, and light housekeeping. Healthy fats keep skin and hair healthy and the cardiovascular system working well. Avocados are low in carbohydrates and high in healthy fats, fiber, and nutrition. They contain six grams of monounsaturated fats per fruit and are high in vitamins E, K, and A. Additionally, avocados contain 25 milligrams of beta-sitosterol, a natural plant sterol that has been found to lower cholesterol levels. Avocados can be eaten sliced or mashed with a little lime and salt. If your loved one doesn’t enjoy the taste of avocado, try mashing it into chocolate pudding for a healthy dessert. Many people think of eggs as a breakfast food, but they can be eaten any time of day. 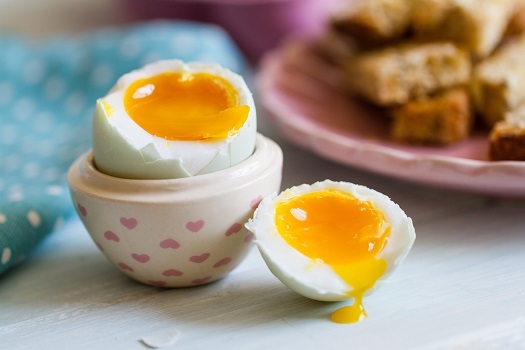 Eggs contain vitamins B5, B12, and B2, which are responsible for producing red blood cells and helping the body use food as energy, and they also contain five grams of healthy fats and six grams of protein. Try serving scrambled eggs in a crustless quiche or with soft veggies in an omelet. Caring for a senior with specialized nutritional needs can be challenging. If you’re the primary family caregiver for a senior loved one living in Oshkosh, live-in care is available if your loved one’s health has become too difficult to manage without professional expertise. At Home Care Assistance, we take measures to help seniors prevent illness and injury by assisting with exercise and mobility, preparing nutritious meals, helping with bathing and other personal hygiene tasks, and much more. Pancakes are a soft food option that can be eaten any time of day. While traditional pancakes may not offer much nutrition, adding finely ground whole-wheat flour and mashed bananas in place of regular ingredients in pancake recipes can provide a fiber boost. Fiber can help your loved one stay fuller longer and keep his or her digestive system healthy. If your loved one is a diabetic, he or she may try to stay away from white potatoes, which are high on the glycemic index and can cause blood sugar levels to spike. Sweet potatoes are lower on the glycemic index and may be a healthier option. They’re extremely high in vitamin A, which plays a role in healthy eyes and gives the immune system a boost. Try mashing sweet potatoes with a little butter, salt, and cinnamon. For seniors who don’t have teeth, getting proper nutrition can be difficult. There are a variety of age-related health conditions that can make it more challenging for seniors to live independently. However, many of the challenges they face can be easier to manage if their families opt for professional elder care. Oshkosh families can rely on expertly trained caregivers to keep their loved ones safe and comfortable while aging in place. For compassionate, reliable in-home care, trust the experienced professionals from Home Care Assistance. Reach out to one of our dedicated Care Managers today at (920) 710-2273 to learn about the high quality of our in-home care services.